27 January 2008: Born 1964 in “Japan’s second city” Yokohama, Hiroshi Nakada was schooled in the city, where he struggled to perform academically. Nakada then confounded his teachers by working through high school to finance himself to study for the college entrance exam, which he passed aged 20. He has since written a motivational text for young students based on this experience. Nakada then studied economics at the Aoyama Gakuin University in neighbouring Tokyo, where he graduated in 1989. 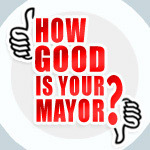 Hiroshi Nakada has been short-listed for the 2008 World Mayor Award. Upon graduation he entered the Matsushita Institute of Government and Management, a foundation aimed at promoting the leadership talents of younger Japanese, where he specialised in waste management. He then served as secretary to members of the upper house of the Japanese parliament (Diet), the House of Councillors, including former Defence Minister Yuriko Koike. While at the Diet, Nakada was involved in the formation of the Japan New Party, a liberal vehicle established in 1992 to protest at corruption among the ruling Liberal Democratic Party (LDP). The party’s leader, former Kumamoto governor Morihiro Hosokawa, was able to secure representation for 35 members in the Diet and led a brief eight party coalition as prime minister, which saw the only ever period of non-LDP governance in Japan since the party’s formation in 1955. Nakada was elected to the lower house of the Diet, the House of Representatives, in 1993 as part of the Japan New Party's entry into political life. He was elected for two further terms as a legislator in 1996 (for the New Frontier Party) and 2000 (for the Independent Party). During his time in the Diet he published several books on political and public services reform. In 2002 he was elected Mayor of Yokohama, defeating a 72-year old former bureaucrat from the LDP, becoming the youngest ever mayor of a major Japanese city at 37. Shortly after becoming mayor he became engaged in a dispute with the central government of then Prime Minister Junichiro Koizumi, refusing to connect the city’s residency database to the national information registry because of concern over data protection, allowing residents to decide on whether or not they wished to opt in to the national system. Nakada then sought to emulate the renowned success of trailblazing Brazilian-French CEO Carlos Ghosn’s successful revival plan for the ailing Nissan car manufacturer with his own Yokohama Revival Plan. With Y2tr ($18bn) of deficits in the city coffers, Nakada identified financial transparency as the means by which this was to be tackled. City officials had in fact hid the true extent of Yokohama’s debts from both politicians and public scrutiny, with Nakada’s new era of openness creating the political space for the reduction of liabilities and the introduction of management reforms, unimaginable under his predecessor. This included the introduction of performance-related pay, open recruitment and the end of shushinkoyo automatic promotion and rewards for innovation. Nissan boss Ghosn was so impressed with Nakada’s take on his turnaround at the ailing company that he announced the relocation of its headquarters to the city, heralding its comeback after years of economic and political malaise. Having successfully overcome the most immediate challenges, Nakada has formulated medium and long-term plans for the city, suggesting he does not plan a return to national politics at the moment, with the mayoralty of Japan’s second largest city perhaps being enough of a platform for his talents. 2009 will see the 150th anniversary of the opening of Yokohama’s port, with Nakada at the centre of events to celebrate the occasion. Observers speculate that Nakada’s success as mayor is down to his being an outsider in a system populated by ex-bureaucrats and scions of political dynasties educated at the elite Tokyo University, while the more staid characters belonging to this group dismiss his common appeal as show-off populism. 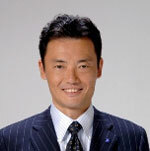 Re-elected in 2006, Mayor Nakada includes among his achievements the nominations for the 2003 Global Leader of Tomorrow and 2005 Young Global Leader by the World Economic Forum. He is also President of CITYNET, the regional network of local authorities for the management of human settlements, sometimes known as the Asian Cities Network. Tokyo, 29 July 2009: Yokohama’s popular mayor has resigned with a year left to run of his second term. Hiroshi Nakada told reporters that holding the election to replace him the same day as the country’s general election on 30 August would save the city money. Having overseen a number of reforms to the city administration, the mayor said rather than seek national office again, he would instead seek to establish a reform movement in the country: “From now on, I will work to renew the country’s politics as one citizen.” Nakada, 44, was elected mayor in 2002 after three terms in the national legislature. As well as persuading Nissan to move its headquarters to the port city, Nakada was credited with securing its hosting of the Asia-Pacific Economic Cooperation summit next year. Campaigning for Japan’s general election will begin on August 18, with a string of recent mayoral race defeats for the governing Liberal Democratic Party (LDP) suggesting a win for the opposition Democratic Party of Japan (DPJ). The DPJ says it will devolve powers to Japanese local government by ending national government’s dominance and curbing the powers of bureaucrats. The election was called ahead of schedule following a poor performance by the LDP in the Tokyo assembly elections.